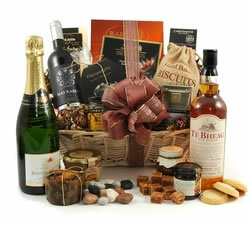 The whisky aficionado will love our selection of Whisky Hampers. 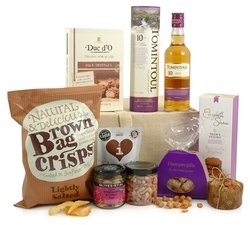 From single malts and aged scotch with a host of treats, there's something for everyone. The whisky expert is a difficult person to buy for, and often hard to impress. That's where our Whisky Hampers come in. 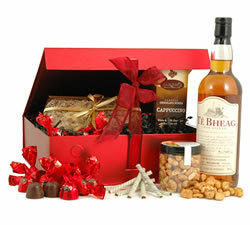 For the Scotch specialist or the Malt master, the lucky recipient will be thrilled with their gift. 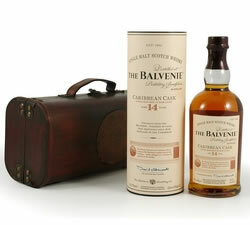 You may even escape the long speech on the origin of whisky as they will be too busy tasting! 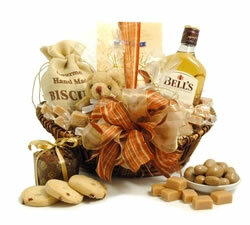 Our whisky gifts contain specially selected products, presented in a variety of beautiful baskets, boxes and cases. 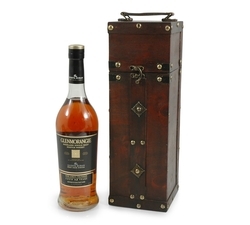 Treat them to the Whisky Surprise which is packed full of delicious treats including crumbly fudge, dark orange chocolates, rich fruit cake and of course a half bottle of Scotch Whisky. 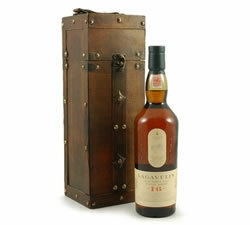 If you want to keep it simple yet sophisticated, the Lagavulin 16 is an award winning single malt presented in a hardwood gift box. 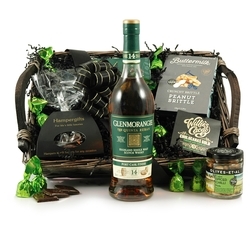 The Indulgence combines a vast array of food and drink to complement the showstopping Te Bheag Unchilfiltered Connoisseurs Blended Scotch Whisky, perfect for marking a big occasion.